One suspects that no one was more surprised at the success of The Silver Globe than Jane Weaver herself. It’s fair to assume that she held the album in high regard and pride – of course she would; what artist wouldn’t beam like a proud parent at the work that’s been gestated over a period of time and creativity, and birthed for willing ears – but that album’s justifiably fevered and enthusiastic word-of-mouth garnered the audience, praise and career boost that she’d clearly been aiming for over a period of some considerable time. This, then, was her moment. And rightly so. As evidenced by the tea-time audience braving an afternoon soaking for her set in the Walled Garden at the Green Man festival in 2015, and her perfect placement at the point where Saturday night properly kicks and sets the tone and agenda for the rest of the evening at the Liverpool International Festival Of Psychedelia that same year, those smitten by the truly seductive psych-pop of The Silver Globe would be handsomely rewarded. This was music that was, at once, melodic, mellifluous and magnificent – framed with fuzzy edges, motorik beats, and analogue squelches. It not only aimed for the head but also squarely at the feet: cerebral and instinctive in equal measure, its accessibility also ensured a crossover that might never have been considered by its author. All of which would lead one to assume that Jane Weaver would be working under a fair degree of pressure to create that album’s follow-up. And who could blame her? Having worked, recorded and performed as a member of indie-poppers Kill Laura in the early 90s and latterly with Misty Dixon in the opening overs of the millennium, the success of The Silver Globe must surely have played on her mind as she finally achieved parallel artistic and career successes. If that was the case, then it’s certainly not evident here. As well as feeling like the natural successor to The Silver Globe, Modern Kosmology doesn’t give the sense of being forced or having one eye on the gallery, trying to second-guess what her newfound audience may or may not like. This is an album brimming with confidence and ideas. As a result, the sum of all of its parts has added up to a convincing and satisfying whole. Modern Kosmology is largely cut from the same cloth as its predecessor; those processed and motorik beats are still present and correct, as are the warmth, squelches and pulses of vintage analogue synthesizers and amplifiers, repetitively strummed guitars and breathy vocals and harmonies. But, with years of experience now beating at her core, Weaver understands that no matter how good your influences are, they count for nothing without the framework of solid songwriting. Check out ‘Did You See The Butterflies’ wherein straight ahead guitar strums are offset by the walking bass and declamatory percussion that blend with Weaver’s gossamer-like vocals, all underpinned by a mastery of melody. As with lead-off single ‘Slow Motion’, the likes of ‘The Lightning Back’ are characterised and propelled by a degree of minimalism. Clearly Weaver has resisted the temptation to launch a sonic arsenal, and by concentrating on the rhythm, the songs open a dimension on the part of the listener that could never be harnessed in the studio. But what’s really interesting here is the continuation of particular psychedelic tradition. By using some of those 70s synth influences, Weaver taps into and carries on that very British thread of psychedelia that harks back to the days of childhood – and let’s not forget that there’s as much fear and as many sinister touches in those far off days as there are innocence and wonder. Indeed, there are plenty of British psychedelic explorers who will always return to Lewis Carroll’s Alice In Wonderland, or perhaps Kenneth Graham’s The Wind In The Willows, but more often than not will limit the scope of their vision to the 1960s. By moving things forward – even when looking backwards – the images evoked may be more orange and brown rather than technicolour, but this is a uniquely British strain of psychedelia that’s tinged with an undercurrent of menace beneath the veneer of comfort and familiarity. Yet as evidenced by the mighty opener ‘H>A>K’, Weaver is unafraid of laying on the power. And it’s a bold statement, too: as an enthusiastic member of the congregation at the Church of Hawkwind, Weaver leaves to one side the delicate nature of her songwriting and delivery to draw a deep line in the sand. Audacious and unflinching in its approach, there is no more appropriate reaction than to sit up and take notice; it’s the same Jane Weaver only more. This is the track that emphatically lets us know that we’re no longer in Kansas. Or Stockport. Crucially, Jane Weaver understands that pop music and experimental sounds and analogue synths don’t have to be mutually exclusive concepts. It worked for Chicory Tip and it worked for Earl Brutus and it sure as hell works for Jane Weaver – albeit with a little more fairy dust and blurring around the edges. But, hey, with those drones, pulsing basslines and insistent beats, that third-eye is eyeing-up that inviting dancefloor as much as it is those ultimate questions concerning the meaning of life and our ultimate insignificance in the universe. And, in the final analysis, there’s no competition as to which one will get picked. 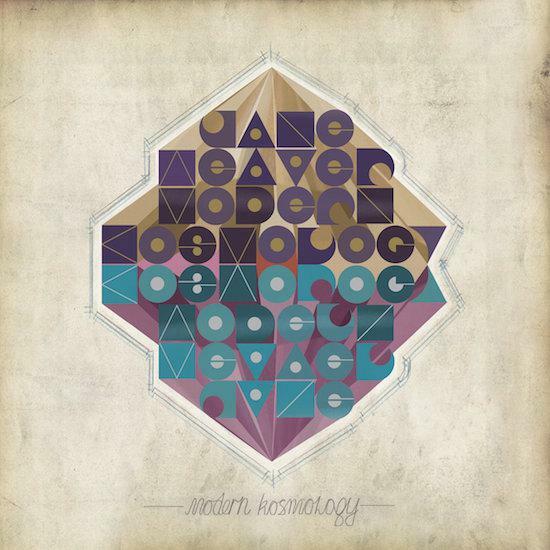 What makes Jane Weaver and Modern Kosmology such a joy is that it comes as sharp and welcome relief to so many of the serious and po-faced purveyors of cynically cosmic vibes. This is music that simultaneously celebrates and explores, that takes pop as its foundation and then builds a multi-layered space on it that welcomes one and all. But it also establishes Jane Weaver as a formidable talent whose ongoing musical journey promises to make some interesting stops and deviations from established routes. And it’s difficult to shake the feeling that there are more surprises to come.